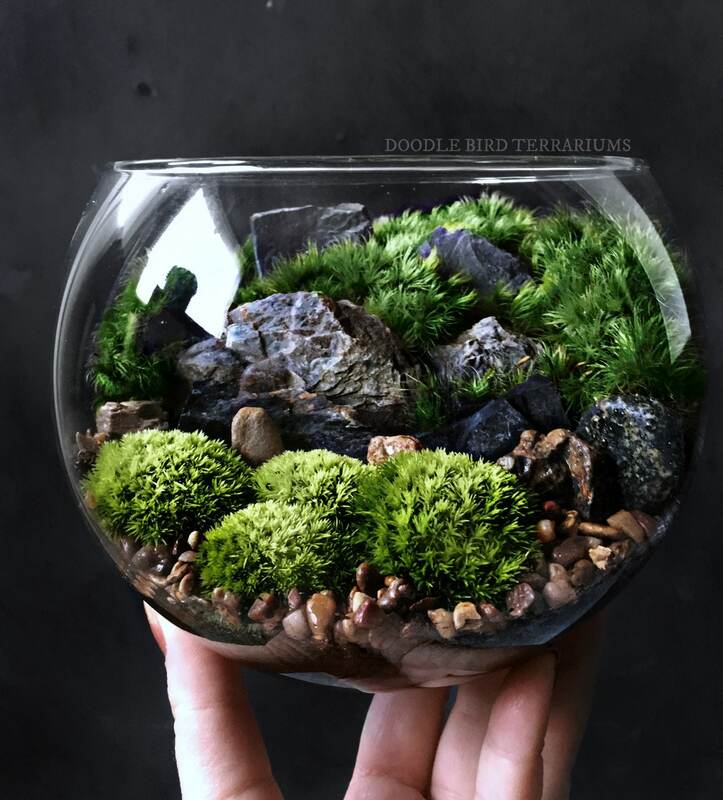 This is the smaller version of the bio-bowl terrarium series. 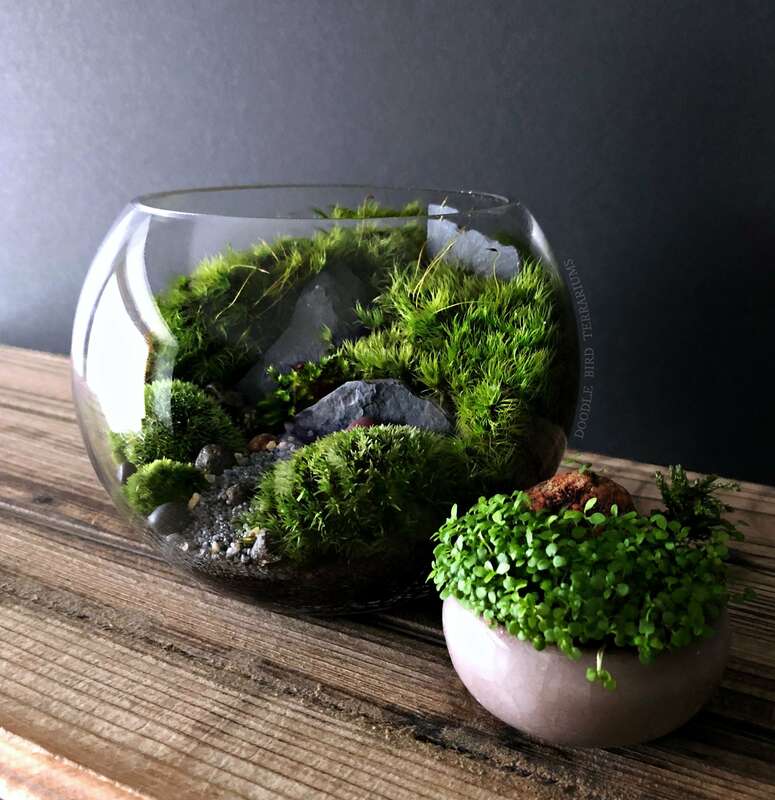 The 5" clear glass bowl showcases a miniature landscape made up of several varieties of live moss, natural stone & rock "mountains". Each piece with be made to order and will slightly vary in color and placement. 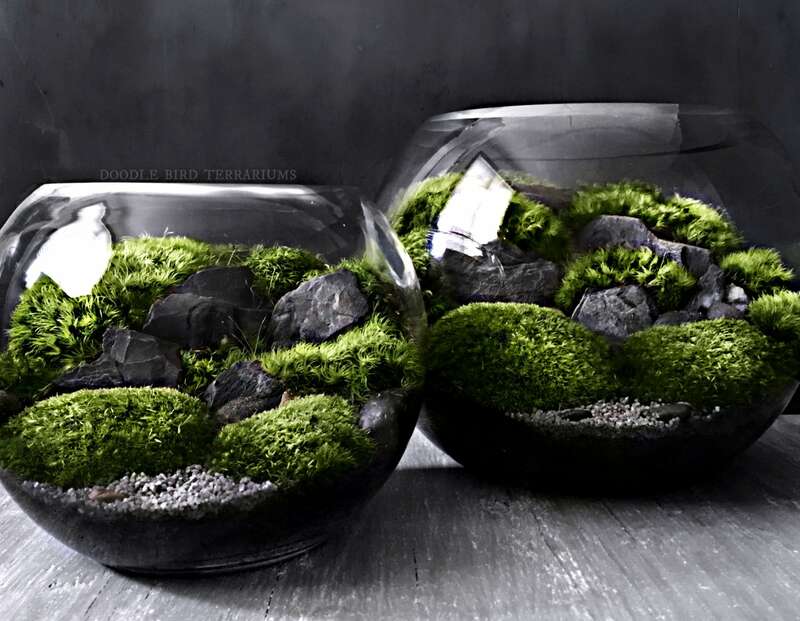 Very easy to care for and comes complete with everything you need to care for your new terrarium.